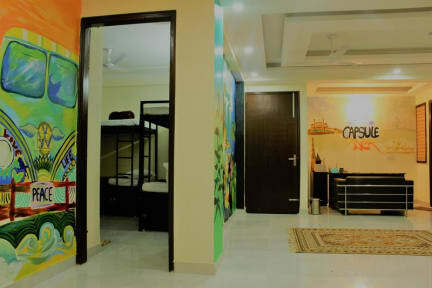 Capsule Den Hostel is one of the few hostels located right in the historical center of New Delhi! We are one of the Innovative and cheapest accommodations in the Old Town next to the Old City and the Qutub Minar. Why spend money on public transport or taxi?! You can go from a club/bar directly to your bed - no taxi needed! Offer DJI Professional Drones, Go Pro, MacBook with photo and video editing tools and Nikon advance DSLR etc on rent. 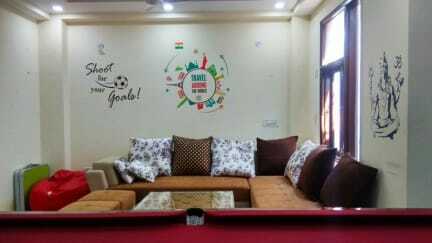 2017 Booking winner - one of the highest rated and Popular Hostel in India! Booking customers have made us one of the top-rated hostels in 2017. We have also been recommended by Tour Guide Association of Delhi - City Guides, Raman Guide, Let's Go and India Next Travel. We have received the Goibibo, MMT, Redbus, and Booking Certificate of Excellence for 2017 & 2018. When human beings experience loneliness or severe stress, it is not uncommon for their lives to unravel. Our great passion is bringing happiness and a new adventure to people who have been through a loneliness & stressful experience. We help our Guests, who include children, adults, and families, to find a healthy way of themselves and strengthen their relationships so they can know themselves as peaceful, complete, whole and safe. We know that no single approach is the right one for every individual, and so we have been trained in a range of modalities including Relation management, Yoga Therapy, Explorer anxiety and to be alone approaches to the world of happiness. Our approach is to help malnourished children and has to work with an NGO where we educate underprivileged children and give them hope of empowerment who are struggling for their daily survival. 40 minute from Red Fort, Chandni Chowk, etc. The entire hostel, with a fire alarm system and fire extinguishers on every floor as well as a video monitoring system in the entrance area. Personal lockers in each dormitory, safety deposit boxes at the front desk. Non-smoking hostel. 24 hours reception. The Social Pub (Hauz Khas) blast every night near to our Hostel. We have rooms and dormitories with six beds as well as a suite for up to five guests with a private bath. Our facilities include a fully equipped kitchen with a dining hall and a lounge with satellite TV, music, DVD player and in-house DVD rental.